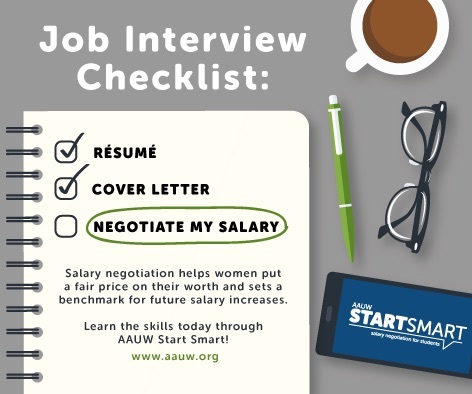 AAUW leads the charge to close the gender pay gap with a multipronged approach to a complex problem. 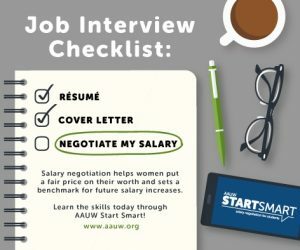 Start Smart is grounded in the latest research and offer best practices for navigating the complexities of job offers. Who can host an AAUW Start Smart workshop? Student organizations, career centers, women’s centers, academic departments, graduate school programs, and other student-focused organizations. At University of Hawaii at Manoa it is FREE. Not at UH Manoa? No problem, contact us today about hosting on your campus!